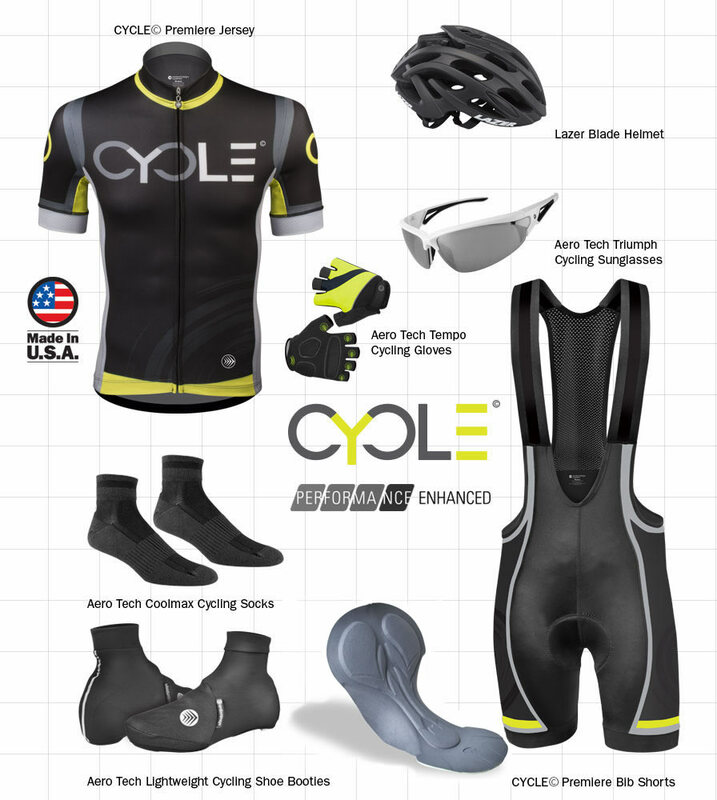 CYCLE Our Designer Kit - it's an expression of who you are, your abilities, your passion and your love of all things cycling. We celebrate the CYCLE in every kit we make. 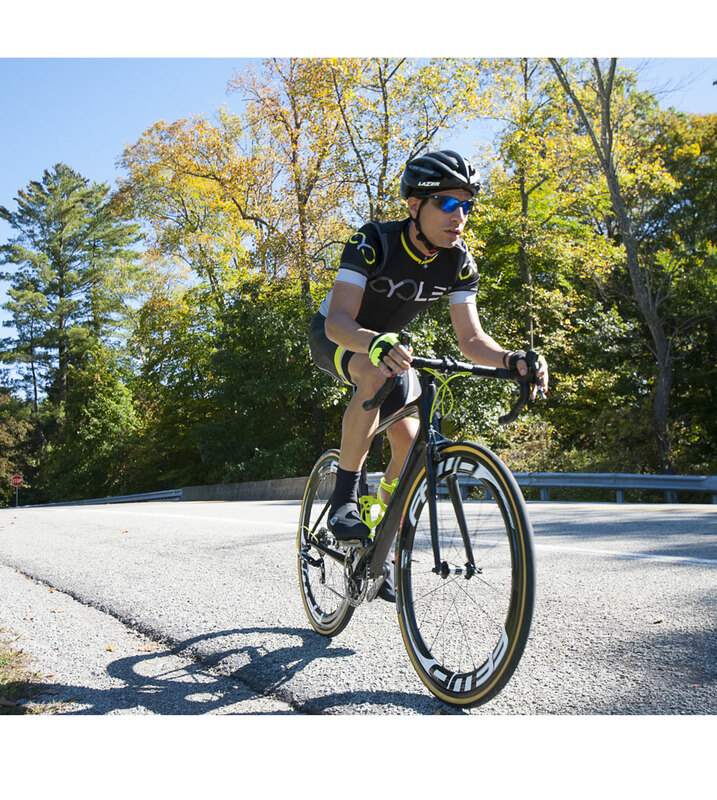 The photo is Jordan Villella, a professional cyclist (Category 1) who developed the fit and performance of this racing kit. He used is wisdom from many years of expertise in professional racing of every type, road, mountain and cyclecross. Aero Tech Designs has a great group of talented individuals that work with Jordan to put this jersey together for those who wanted a racing type jersey that is snug, with light compression. 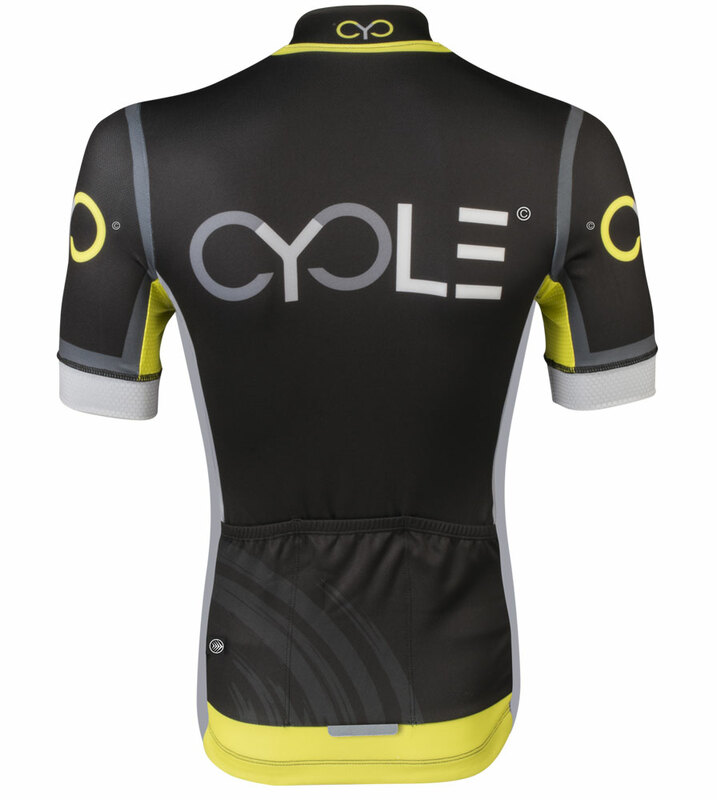 This is part of our Premiere Jersey collection that was developed to address the needs of a competitive cycling team. Always good for a weekend club ride, the peloton jersey is crafted from a combination of fabrics that are highly technical. The microfiber polyester yarns are tightly knitted for the wicking sweat away and keeping cool on hot days. The sleeves fit to the shoulders perfectly and comfortably. Available in sizes X-Small to 3XL and crafted with pride in the USA. 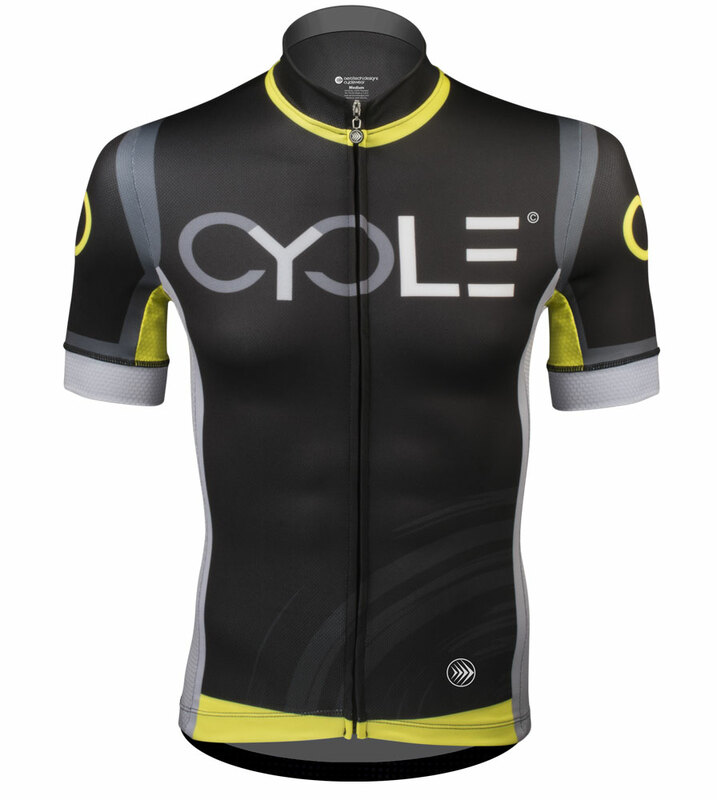 Here we are presenting the Premiere CYCLE Jersey - The perfect blend of aerodynamic tailoring and top of the line fabric make this jersey fit to be called elite. Designed for the cycling position, the set-in sleeves of the Premiere Jersey create a beautiful fit from the neck and shoulder to the bicep. This gives the Premiere Jersey an aerodynamic advantage by fitting tight against the rider's body allowing air to flow freely over the body and eliminate air pockets in the fabric. I bought this jersey as a gift. The recipient normally wears a large, but the XL fell more in line with their size. It was received with rave reviews. I am told it fits perfectly, and they love that it is so visible. I was told it is made very well and is their new favorite jersey. Additionally, your customer service is excellent!!! Thank you!! Just trying to stay safe and look good. This kit does it all. High quality workmanship! Would recommend. I had to order one size up. 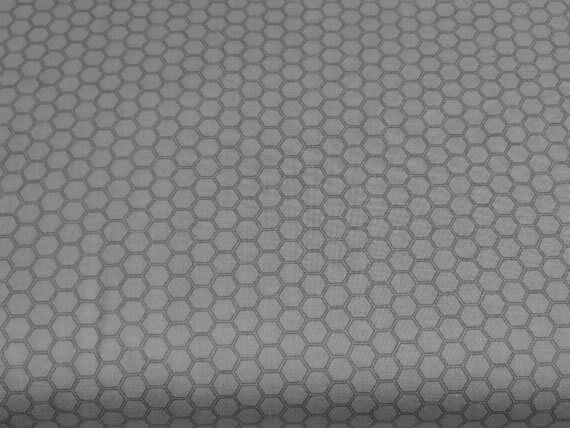 Aero Tech continues to demonstraight its superior customer service and quality bike clothes. The Pre,ier Racing Cycle Jersy looks and feels great. Just pay ayyention to the sizing guides. Love the fit / Makes me look fast..............Well made. Normally I wear a medium, but opted for a large in order to wear some other clothing underneath since the weather is still cold here. 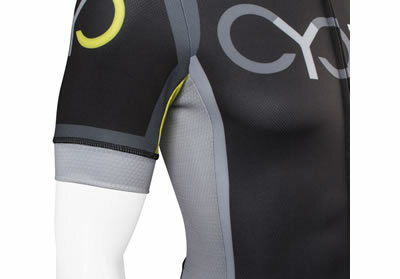 The medium is going to be skin tight as racers like to wear 'em. I would think that a tight fit like that also helps in wicking off perspiration during the hot months. The orange is very bright and is a nice change from the high visible yellow jerseys. Only have worn for 2 rides so far. The bright color is certainly an asset when in traffic.